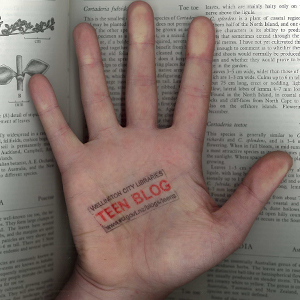 Teen Blog » Blog Archive » New Books Again! This is the rest of this week’s new books. A bit of a history theme this time, with a supernatural twist, and plenty of thrillers! Fateful, Claudia Gray (328 pages) – it’s a supernatural romance on the Titanic! It’s 1912 and Tess has set sail for New York with the family she works for. On board she meets Alec, a handsome first class passenger. Their budding romance leads to danger for Tess though: there are werewolves, and they’re out to get him. First sentence: It’s not too late to turn back, I tell myself. Eternal, Gillian Shields (359 pages) – the companion novel to Immortal and Betrayal. Evie and Helen are distracted from the Mystic Way by personal tragedies, so Sarah must step up and keep them all together against imminent attack from the dark coven and Unconquered lords. Can she rely on the Mystic Way, or will she find help in other, unexpected, places? First sentence: I am not like Evie. Misfit, Jon Skovron (362 pages) – Jael is the daughter of a cynical former priest and a 5,000 year old demon. So, she’s not ordinary then. Things become even less ordinary when she receives a special gift on her sixteenth birthday. Now she’s got cool powers, but also demons who are after her family, not in a good way. First sentence: Jael Thompson looks at her reflection in the bathroom mirror and frowns. Want to go Private?, Sarah Darer Littman (330 pages) – Abby is about to start high school, and she should be more excited about it, but she’s more interested in building her friendship with Luke, a guy she’s met online. When Luke suggests they meet in person and Abby agrees and goes missing, her family and friends must figure out what’s been going on if they want to get her back. Tunnel Vision, Susan Shaw (255 pages) – One evening, when Liza is on the way home with her mother they are attacked by a group of strange men. Liza’s mother is killed, but it transpires that Liza herself was actually the target. Liza and her father are put into witness protection, constantly on the move to escape her would-be killer. First sentence: The laughing men weren’t leaving much room for anyone to get by, but what else was I supposed to do? First sentence: On a cold evening in late spring, with the rain coming down hard around him, there’s Oncle Gérard standing outside our farmhouse, just like he’s never been away. Hidden, Helen Frost (142 pages) – “When Wren Abbott and Darra Monson are eight years old, Darra’s father steals a minivan. He doesn’t know that Wren is hiding in the back. The hours and days that follow change the lives of both girls. Darra is left with a question that only Wren can answer. Wren has questions, too. Years later, in a chance encounter at camp, the girls face each other for the first time. They can finally learn the truth—that is, if they’re willing to reveal to each other the stories that they’ve hidden for so long…” (Amazon.com). This is a novel in verse – the author tells us that Darra’s poems also give clues about the story (read the author’s note at the back). First sentence: I was a happy little girl wearing a pink dress, / sitting in our gold minivan, / dancing with my doll, Kamara. And Then Things Fall Apart, Arlaina Tibensky (254 pages) – Keek’s summer is not turning out well. She’s been abandoned at her grandmother’s house, with nothing but a typewriter, The Bell Jar by Sylvia Plath, and the chickenpox for company. The perfect opportunity, then, to work out why her life’s turned pear-shaped, and attempt to right things. First sentence: I once watched a collector kill a monarch butterfly on a nature show by putting it under a glass dome with a piece of cotton soaked in gasoline. Sent, Margaret Peterson Haddix (313 pages) – The Missing Book 2. “Jonah and Katherine have barely adjusted to the discovery that they are actually the missing children of history when a time purist named JB sends them, along with Chip and Alex, hurtling back in time to 1483. JB promises that if they can fix history, they can all return to their present-day lives. Now, Chip and Alex have to reclaim their true identities – as the king and prince of England. But things get complicated when they discover that according to the records, Chip and Alex were murdered. How can Jonah and Katherine fix history if it means letting their friends die?” (Amazon.com). Sister, Missing, Sophie McKenzie (250 pages) – set two years after Girl, Missing. Lauren is now sixteen, and her birth mother takes her and her two sisters on a holiday. When one of her sisters disappears in mysterious circumstances (similar to those of her own disappearance two years earlier), can Lauren figure out what’s going on and stop the nightmare from repeating? First sentence: I woke up to sunshine pouring in through the bedroom window of the holiday cottage.